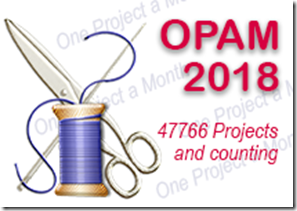 I pleased that Kris and Peg are running OPAM again this year. If you'd like to join in you can sign up HERE or HERE. humm--tucked away -- hu---wonder how many are there??? Are you counting them??? Last month was finishing an 'old' ufo--this month it will be finishing some new ones--less than a year old-then March will be back to an old one--(I have some already basted even) so that is my plan!! Lots of lovely finishes Maria, haven't you been a very busy girl. You had such a good month, Maria. 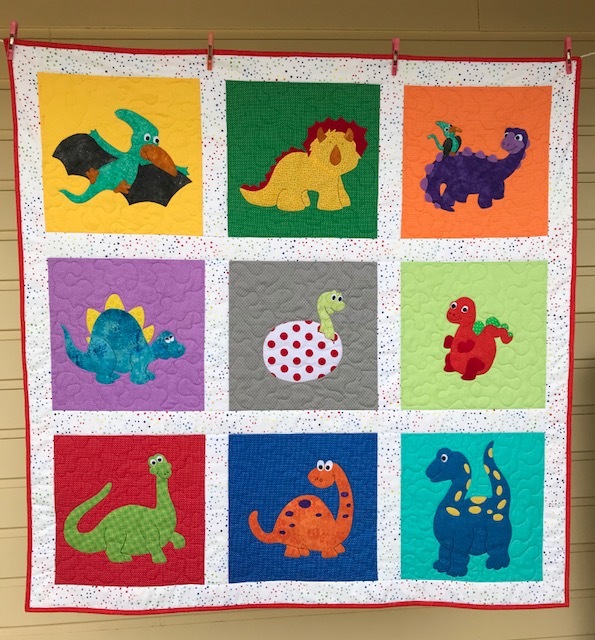 I LOVE the dino quilt, but the QAL finish is lovely too. What a great start to your quilting year! Wow, that's a lot for just one month. Well done! Looks like you had a productive month! Love the colors in Roundabout, so bright and cheery. Great collection of finishes there Maria... the dinos looks so fun!